CHAPITRE 1 : SANTE TRANS. CHAPITRE 2 : JEUNESSE ET ADOLESCENCE TRANS. CHAPITRE 3 : PARCOURS TRANS ET PRECARITE. 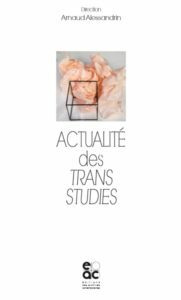 CHAPITRE 4 : NOUVELLES VISIBILITES TRANS ?.